The bathroom is a place where you can relax and prepare for the long day ahead. Whether you are actually thinking about making some changes to your bathroom, or you simple want to start building a “wish list”, there are so many design options out there to choose from. Depending on your timeline, budget, and the work that you want completed, the choices are endless. By working with a trained expert, you can be creative and find the best options available for your space. Feel closer to nature by using bamboo, mahogany, walnut, and teak woods for your sink. These woods also make good floors, walls, and backsplashes. They are trendy, water resistant, and sometimes cheaper than hardwood options. These organic vanity sinks are beautiful and elegant with a natural touch. If you want a luxury shower feel in your bathroom, there are many control and sprayer options to make your shower experience more like a spa retreat. For your storage space or cabinetry areas, use materials with different patterns, colours, textures, and even a jeweled look to have a trendy and cool modern bathroom. In the last few years, brass and gold are making a comeback. They are being used everywhere in the bathroom including in the shower fixtures, lighting fixtures, and plumbing fixtures. Being environmentally friendly is always in style. Many companies are choosing to focus on providing customers with nice looking but eco-friendly options such as low-flush toilets that can help to conserve water. Remember that there is nothing that Avonlea can’t to do complete your bathroom renovation. We have a skilled team of trades professionals who can provide you with a positive upgrade experience. 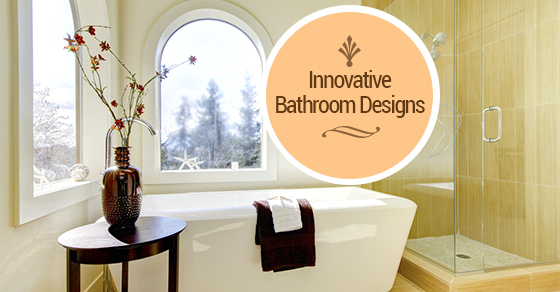 Call us today at (416) 907-4764 to transform your bathroom!